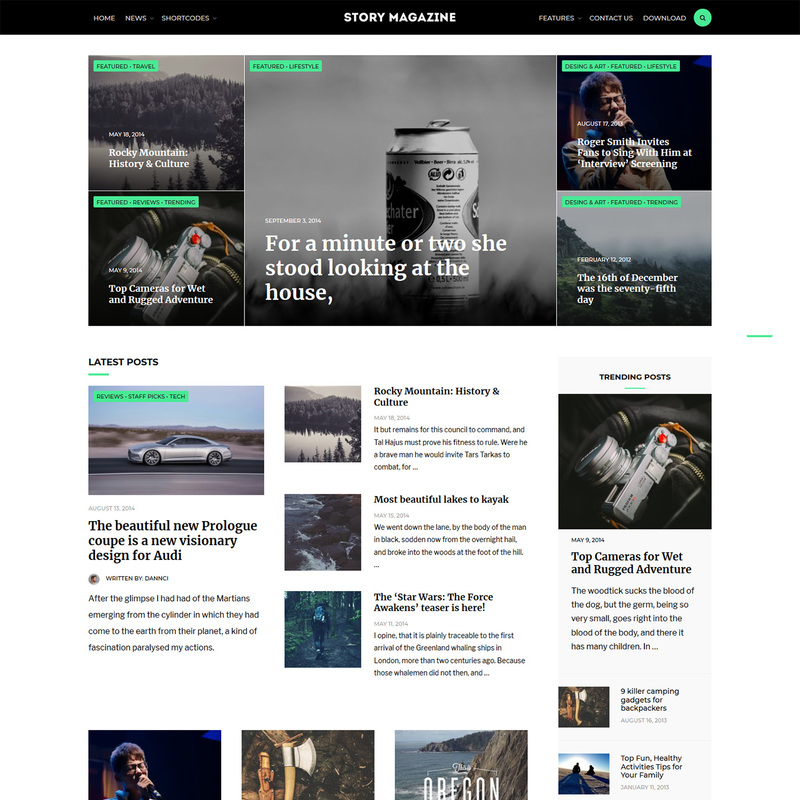 New and free Story Magazine theme brings a variety of beautiful elements and flexible options perfect for your website. Theme relies on intuitive customizer and so all styling elements (more than 30) can be set easily and very quickly. Story Magazine theme includes basic SEO markup (schema.org) and with additional SEO plugin, you’ll get higher search rankings. The theme incorporates stunning magazine blocks and it is the matter of minutes to create eye-catching news / editorial homepage. Take advance of the native WordPress functions and features to manage your content easily. Solid and experienced coding, best practices used, well tested! You’ll get safe and secure product. We are offering e-mail based, fast and friendly support to all our premium customers. Themes are build out of a real need, that’s why we focus on user friendliness.